Peek A Boo download pattern is a 28 page pdf file you download and print on your home printer. Be sure "Actual Size" is checked in the print box when printing. 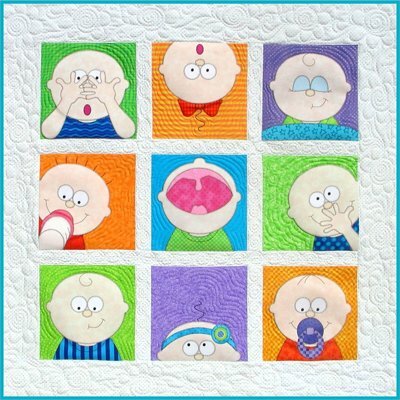 The Peek A Boo pattern includes instructions, patterns, and placement sheets to make this nine block 39 1/2" x 39 1/2" wall hanging as well as a 33" x 42 1/2" crib quilt with a patchwork center.